THEN showcases art works from photographer Lisa Leone. The show is a deeply personal portrayal of the last days of hip-hop’s innocence, of a culture caught between an intimate past and a global future. Born in the Bronx and raised throughout New York City, Lisa Leone has been surrounded by hip-hop culture for virtually her entire life. 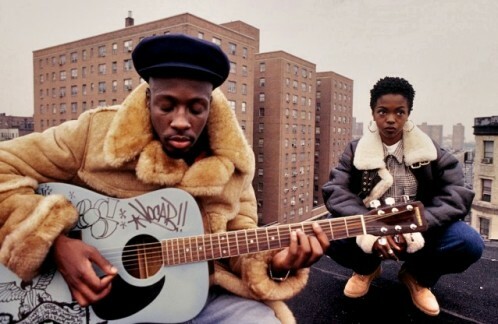 By the late eighties, as a widely published photographer, she was in a unique position to capture a behind-the-scenes perspective on the spirit of collaboration that fueled hip-hop’s early artistic triumphs. 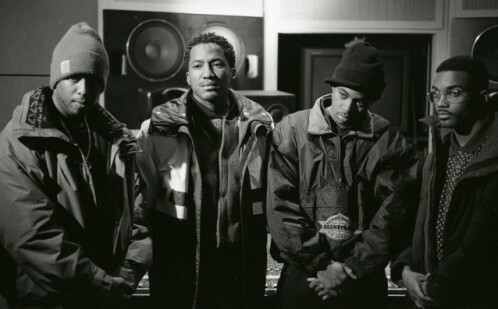 “To see a young Nas in the studio with Q-Tip, Premier and Large Professor was not only inspiring,” she reflects on one of the candid photos included in the show, “it is ‘the decisive moment’.” THEN explores a series of such moments through the eyes of the young artists that would go on to become the hip-hop generation’s biggest stars: Snoop Dogg, Lauryn Hill, Mary J. Blige, Wyclef Jean, Run DMC, Nas, A Tribe Called Quest, Rosie Perez, the Roots, Queen Latifah and many others. But these are not mere portraits. Each image captures a unique interaction between an individual and their environment, and is supported with text drawn from new interviews with the subjects themselves.